Composer Max Richter doesn't want a boisterous standing ovation or to hear loud cheers during the live performance of his album, "Sleep." He prefers the quiet sounds of breathing – or even a bit of snoring. 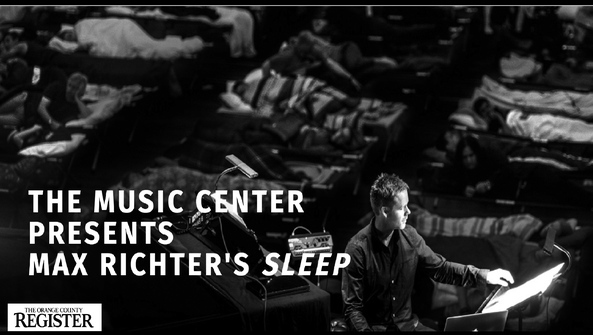 Richter will bring "Sleep," an eight-hour classical music experience, to Grand Park in Downtown Los Angeles on Friday, July 27 and Saturday, July 28. However, this isn't a standard concert. Guests are issued cots instead of seats, are encouraged to wear loose fitting and comfortable clothing and are expected to fall sleep as the overnight performance runs from 10:30 p.m.-6:30 a.m. on both nights. "There is almost always some snoring," Richter said during a recent phone interview. "I get sort of a weird sense of validation when I hear it. That makes me really happy, actually. It's quite comforting as well, almost like having a cat purring."